I've been spring cleaning. The bookshelves are taking forever. I keep finding a book I somehow never finished or one I can't help but start reading immediately. I'm going to keep at it though. Once I'm done tidying and sorting, there will be some empty space on the shelves. Of course, you know how Nature feels about a vacuum. I can't see the Wolfe clan ever cleaning up the criminal enterprises they operate on both sides of the Texas/Mexico border. As James Carlos Blake tells us in Country of the Bad Wolfes, violence and law-breaking has run in their blood since the 1800s, when pirate captain Roger Blake Wolfe was executed and the family split into Texas and Mexican branches. This is not to say the family doesn't have legitimate business interests, rules or a personal code of honor. In the second Wolfe family book, The Rules of Wolfe, we learn what happens when Eddie Gato Wolfe is too impatient to obey the rule requiring a college degree to join the family business. Eddie heads south, takes a security job for a violent Mexican drug cartel and accidentally kills El Segundo, his employer's brother, when he catches Eddie in flagrante with El Segundo's mistress. Eddie's problems take off from there like a rocket. 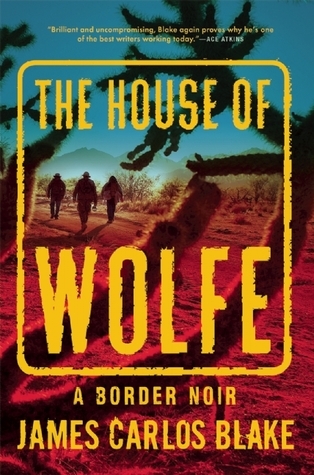 Traveling to Mexico and finding the sort of trouble that can get you killed might be a rite of passage for young Wolfes. Jessie Julia Wolfe goes to Mexico City to be her college friend's bridesmaid in The House of Wolfe (Mysterious Press, March 3). The newlyweds' wealthy parents have attracted the attention of gangster El Galán and he kidnaps Jessie and others in the wedding party. The $5 million ransom is due in 24 hours. Word gets to Charlie Fortune, head of the Wolfes' Texas gun-running operation and fond relative of Jessie, and he and Rudy Max Wolfe take off on a rescue mission. Meanwhile, things in Mexico are going south. This is noir delivered poetically. Judith Claire Mitchell's upcoming book is a four-generational family saga, written by the three middle-aged Alter sisters as a suicide note. Kirkus Reviews terms it as hilarious as it is tragic. 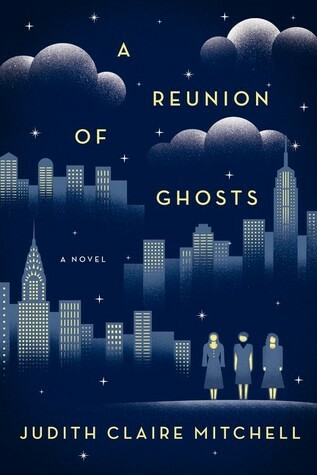 A Reunion of Ghosts (Harper, March 24) is based on the difficult life of German-Jewish Nobel Prize winner Fritz Haber, who invented the chemical processes that led to chlorine gas. The Haber figure in Mitchell's novel is Lenz Alter. He and his wife, Iris, began the tradition of Alter family suicide. Following them are their son, Richard, and Richard's three daughters, one of whom is the mother of the three Upper West Side sisters, Lady, Vee and Delph. The lives of Lady and Delph haven't been happy but Vee's life has been particularly unlucky. Her husband was murdered having lunch at Chock Full O'Nuts and she has terminal cancer. On New Year's Eve 1999, the sisters plan to say good-bye. So far, I've scheduled some troubled families for my spring reading and I'm not done yet. We might as well make it a clean sweep for today. 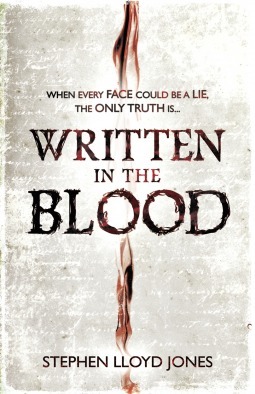 Stephen Lloyd Jones has created an uncommon family who are neither into crime nor dying by their own hands. In The String Diaries (Mulholland, 2014), their history is detailed in a layered timeline of three stories. One is set in the present, another begins with Oxford professor Charles Meredith in 1979, and the third opens in Hungary in 1873. When we meet Hannah Wilde in present-day Wales, she, her bleeding-out husband, Nate, and their 9-year-old daughter, Leah, are in a careening car. Also in the car are Hannah's family diaries, handed down from mother to daughter for two hundred years. They're crucial for existence given the very unusual nature of a destructive obsession involving Hannah's family. No one and nothing can be taken at face value. Jones fabricated Hungarian folk tales and mythology to create an urban fantasy that incorporates elements of horror, the supernatural and thriller. I don't want to tell you much more, although I will say this isn't a book of vampires, ghosts or werewolves. The String Diaries loses some steam during its extensive back story, although it's worth reading for Jones's imaginative vision and as preparation for the sequel, Written in the Blood (Mulholland, May 26). Kirkus Reviews calls it "far superior" to its predecessor and "a complete success." We catch up with Hannah and Leah 15 years later. In a tale that moves from various European locations in the present to 1870s Hungary, Leah risks her life to save her family from extinction. I'll be back tomorrow with more spring books.